After having her BA in Journalism and Public Relations at Marmara University in Istanbul, Seyda Taluk obtained her MA in Political and Juridical Science from Paris University, where she also followed doctoral courses. Taluk has pioneered in the field of social and political communications in Turkey. Presently she teaches “Psychology of Communications and Persuasion” at Bahcesehir University’s MBA Program. Taluk served as communications and lobbying consultant for various corporations and entities, including UN’s IPU (Inter-Parliamentary Union), AWID (The Association for Women’s Rights in Development), Ericsson Turkey, Kadir Has University. She is also the founder of “Yolculukta Is Var” (Journey at Work), a social entreprise, offering a learning experience through a journey where social entrepreneurs and business sector are gathered on an interactive platform. Besides her voluntary works for several NGOs, Taluk is founding member of KaDer, a prominent citizen organization begun in the late 1990s to secure greater women’s representation in Turkish politics. 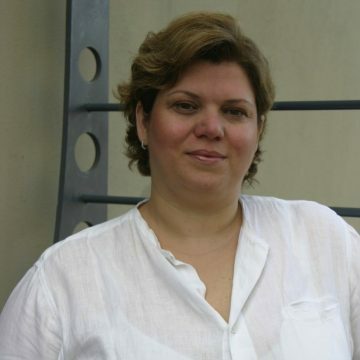 Her lifelong interest in social issues led her to Ashoka, where she assumed leadership of Ashoka Turkey between 2006 -2009. She is an alumnus of INSEAD’s Social Entrepreneurship Program.